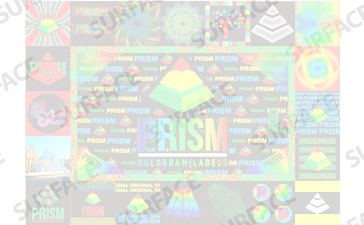 Many hologram label manufacturers offer limited selection of foil colors. Typically these colors are standard sliver, gold and copper. 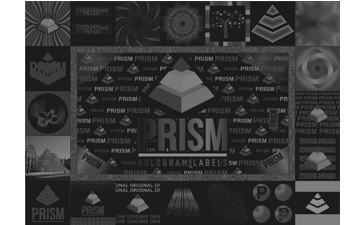 This can be very limiting and can hinder the optimal effectiveness of a hologram label in some cases. We offer hologram foils in a variety of colors. This gives our clients the ability to match up foil colors with their packaging, brand colors, products or simply to enhance the overall visibility and security of the label. Each foil color is available in a variety of materials. The available material types for each color are listed below. Please Note: The foil colors as they appear below are representative of the foil colors that we have available but do not accurately depict how these foils appear in the real world. Our foils have a metallic shine and brilliance that can’t be duplicated on screen.